In 1952, Mitsuki (Mirai Shida) waits for the streetcar with her lover Toichiro (Shinnosuke Mitsushima) in Hakodate, Japan. This is the last time Mitsuki sees Toichiro. When Mitsuki boards the streetcar, Toichiro has vanished. 50 years later, Megumi (Yui Natsukawa) runs a company in Tokyo, but she is betrayed by her lover (Yoichiro Saito). 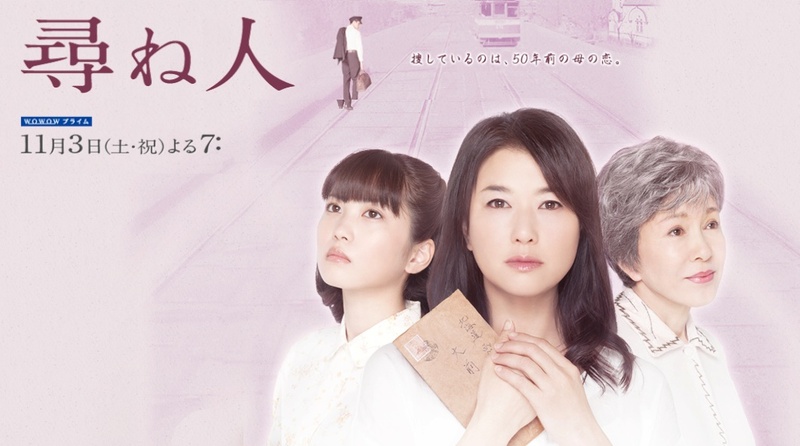 Megumi returns to Hakodate and moves in with her mother Mitsuki, who doesn't have many days to left to live. One day, Mitsuki asks her daughter to find Toichiro. Megumi begins to read through a hundred of their love letters. Koga (Ken Yasuda), who Megumi meets at a bar, says that Toichiro orchestrated his own disappearance. Megumi continues her search as the truth of Toichiro's disappearance begins to come out. Based on novel "Tazunebito" by Shiho Tanimura (published May 22, 2012 by Shinchosha Publishing Co, Ltd.).